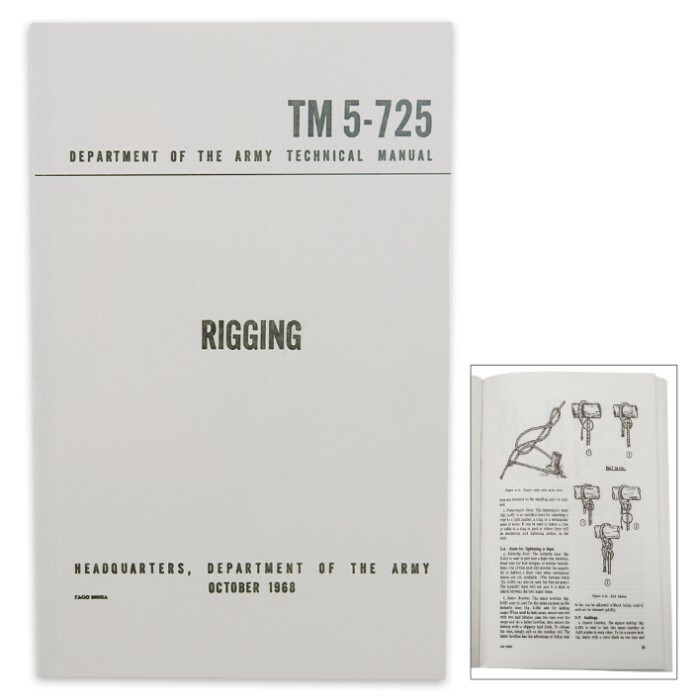 This manual is a guide and basic reference for personnel whose duties require the use of rigging. 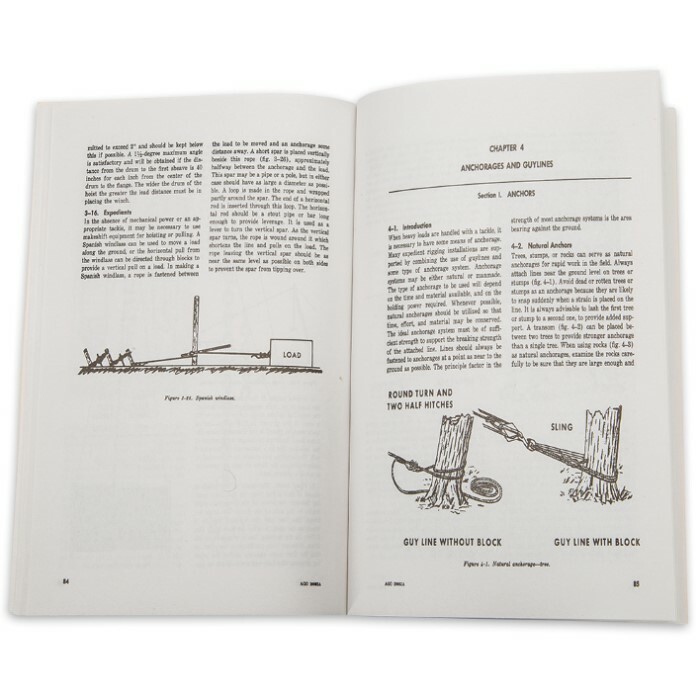 It is intended for use in training and as a handbook for field operations. It covers the types of rigging and the application of fiber rope, wire rope, and chains used in various combinations to raise or move heavy loads. 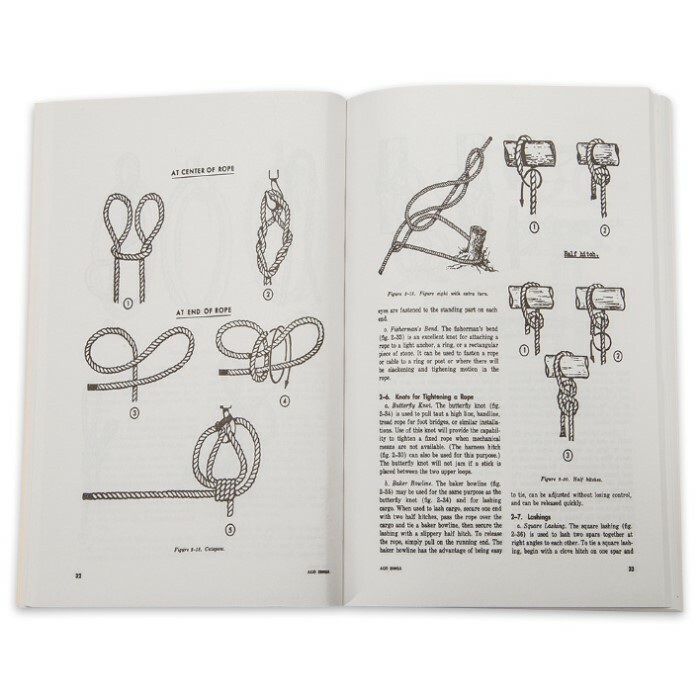 It includes basic instruction on knots, hitches, splices, lashing, and tackle systems. Safety precautions and requirements for the various operations are listed, as well as rules of thumb for rapid safe-load calculation. Army reprint manual from 1968. 136 pages, 5 1/4 in. X 8 1/2 in.